Oh how I’d like to expand that title! 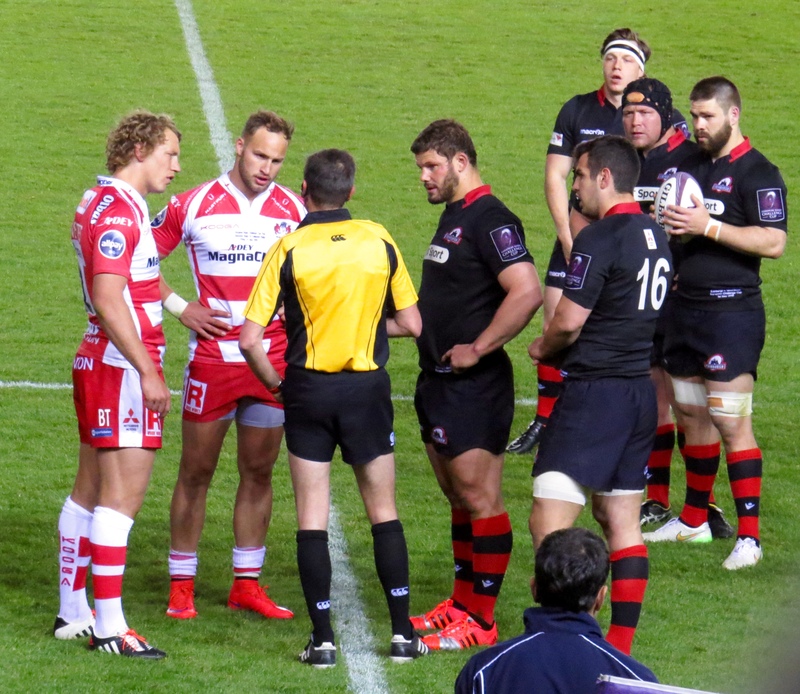 Edinburgh Rugby v Gloucester – The Challenge Cup Final! 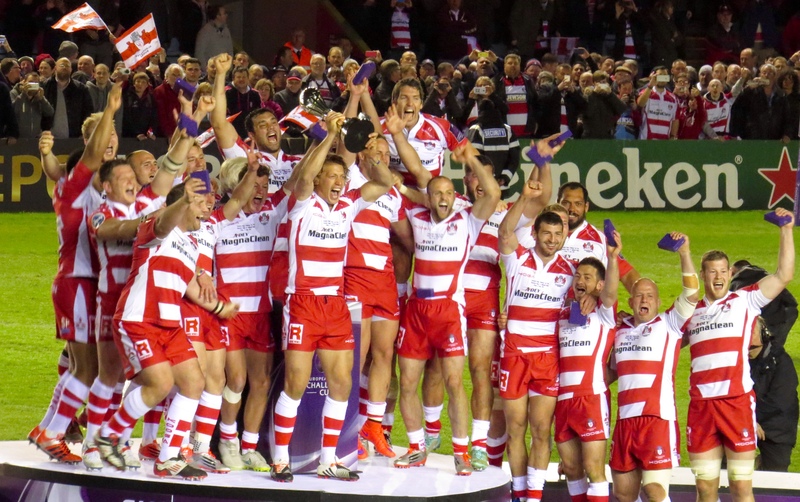 The first time a Scottish team had been in a European Final and a chance for Gloucester to have some joy at the end of an average season. I will warn that this is going to be more of a match report than usual and I may well ramble a bit! It was a great game! After spending a whole morning and half the afternoon to wait for someone to come and look at my new settee damaged by a my dog chewing up a pen incident – he came at 2:15 – not very 8 to 1. And a bit of a rant here – why on earth can’t people who deliver, trade tell you within an hour when they’re going to rock up??? Having to wait to be told it was unrepairable I’d missed the opportunity to see the 2 Captain’s run for the Champions Cup! Not that I’m bitter! I travelled via my brother’s house, very useful to have somewhere to stay near Twickenham, plus great to be able to touch base with family. After a swift cup of tea I continued on my journey, I’d forgotten how awful the southern section of the M25 was, but it stayed true to form, so a pleasant cross country drive it was instead. Parking can be a problem in Twickenham but I chose the St Margaret’s college option, close to the ground and a mere £7.00. 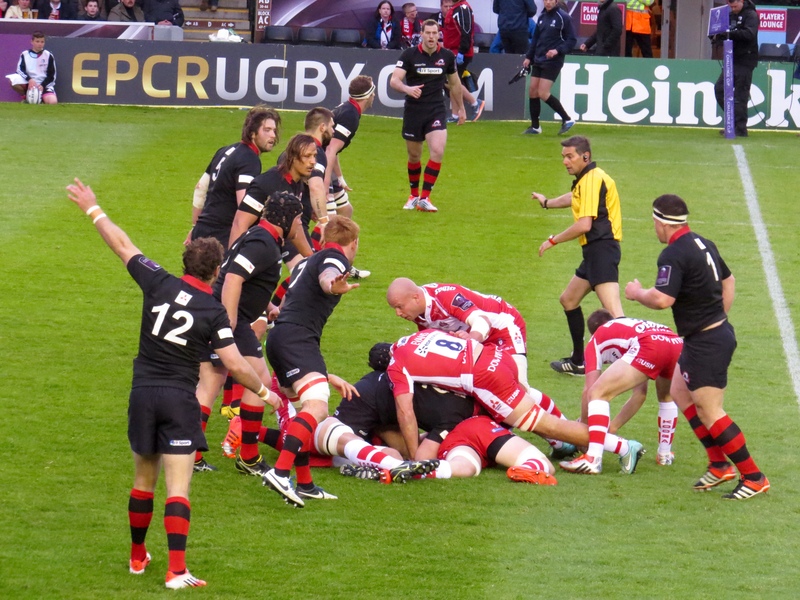 Rugby is a wonderful thing as far as getting to know people is concerned, I walked across the front of the West Stand in search of food and was tapped on the shoulder by Grant McKenzie, father of Fraser McKenzie of Edinburgh Rugby. We’d watched the Wales v England 6 Nations game in a bar in Paris, sitting next to each other What a small world, it was lovely to see him, and pretty amazing to realise his son was on the bench and would take part in the match. I then bumped into Steve – a Leicester Tigers mad Twitter friend – we had a bit of a chat before I was swallowed into the queue for chips! I really should have picked sweet potato fries for my sophisticated dinner, but very nice, if unhealthy chips it was! I’d had a pretty horrible experience in Gloucester so was feeling slightly unsure of how the evening would go. To my surprise I had 3 seats free next to me. 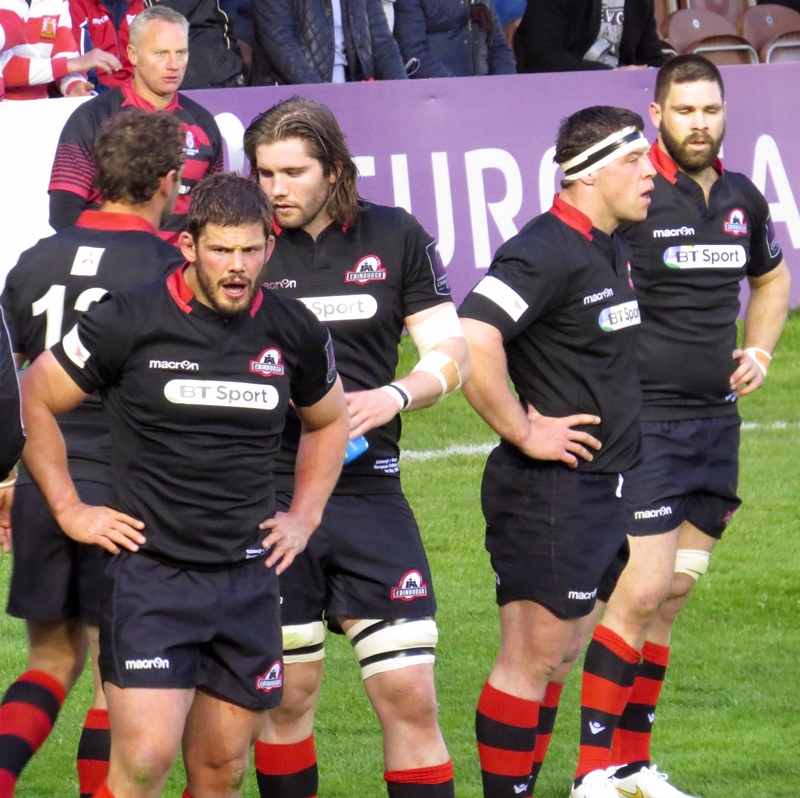 My seat was above the bulk of the very vocal Edinburgh fans but amongst neutrals on the whole. 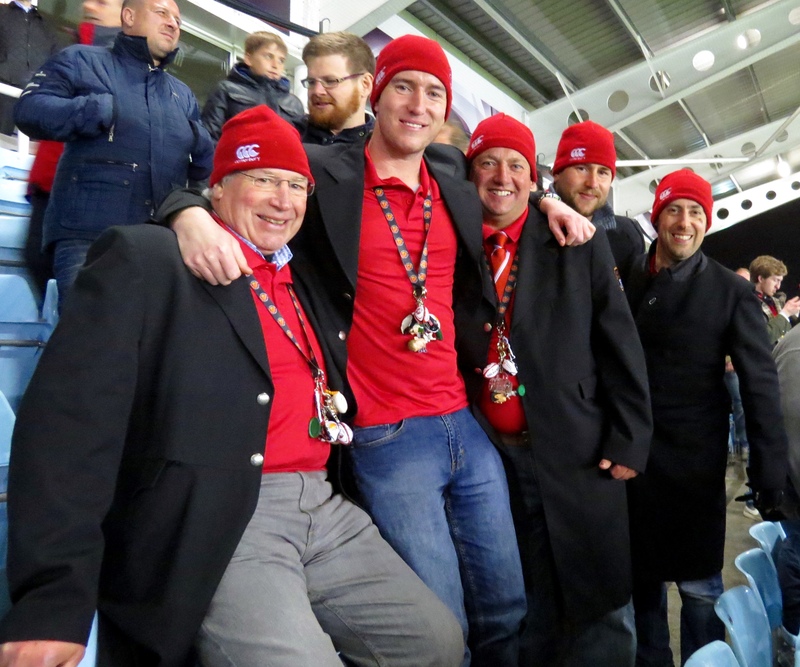 That proved to be a great thing during the game, I had a group of Exeter Chiefs fans behind me, a father and his sons/son in laws – they were great fun, all dressed in their own kind of uniform and shouting Glawster all through the game. 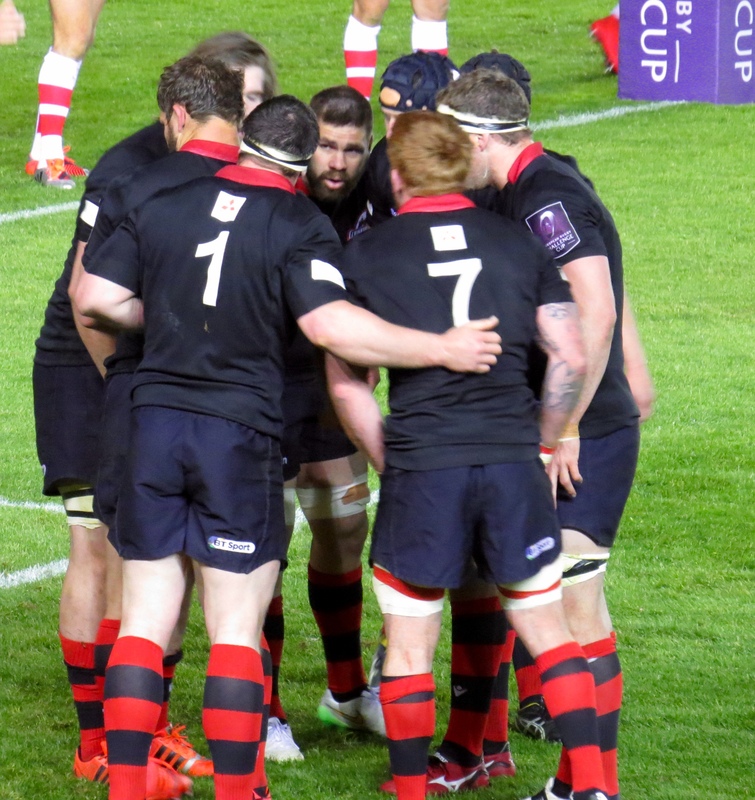 The atmosphere was great, the Gloucester fans totally outnumbered their Edinburgh counterparts but with an added bagpipe the Scots did their team proud. They struck up Flower of Scotland, it was a shame that the only response was Glawster, Glawster. 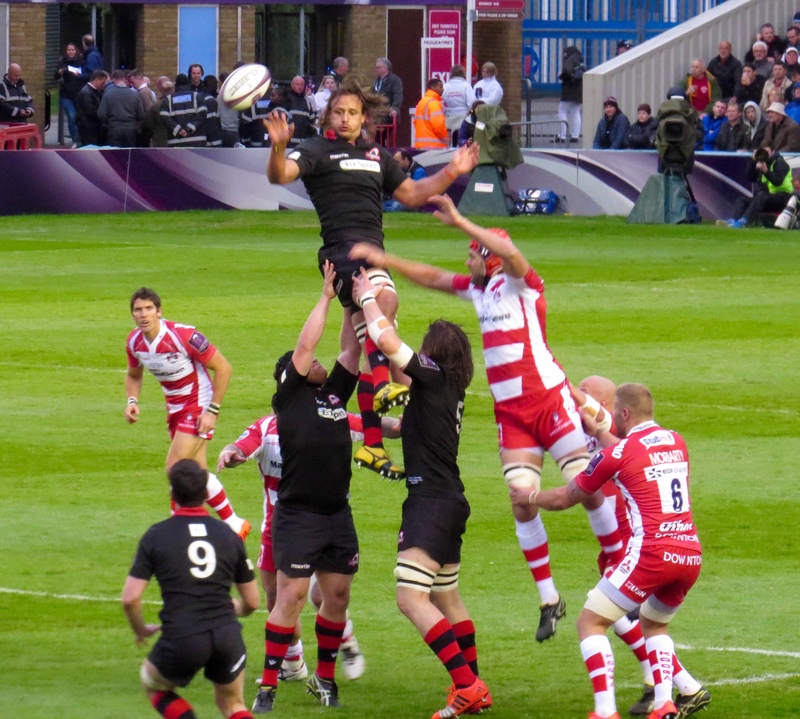 And so to the game, I’d say in rugby terms it wasn’t classic, but it certainly had shout out loud, exciting moments. 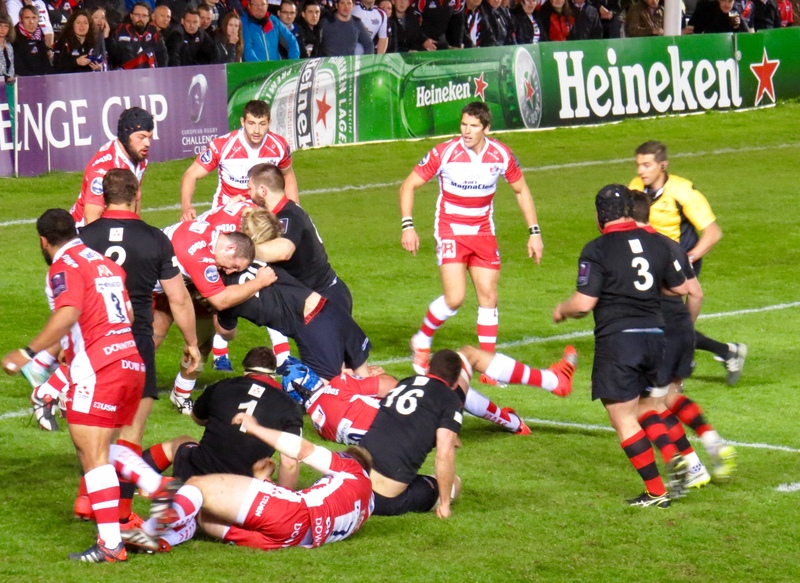 Edinburgh were first on the board with a penalty kick from Sam Hidalgo-Clyne after Gloucester were realised for not releasing the man. The kick was from 35 metres, a difficult kick, but a challenge Hidalgo-Clyne was equal to. 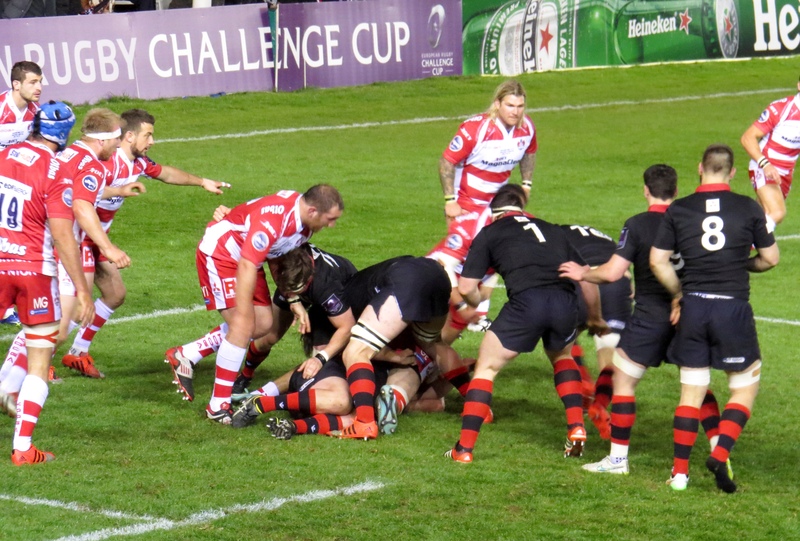 Greig Laidlaw added a penalty of his own on 9 minutes keeping the scoreboard ticking over. 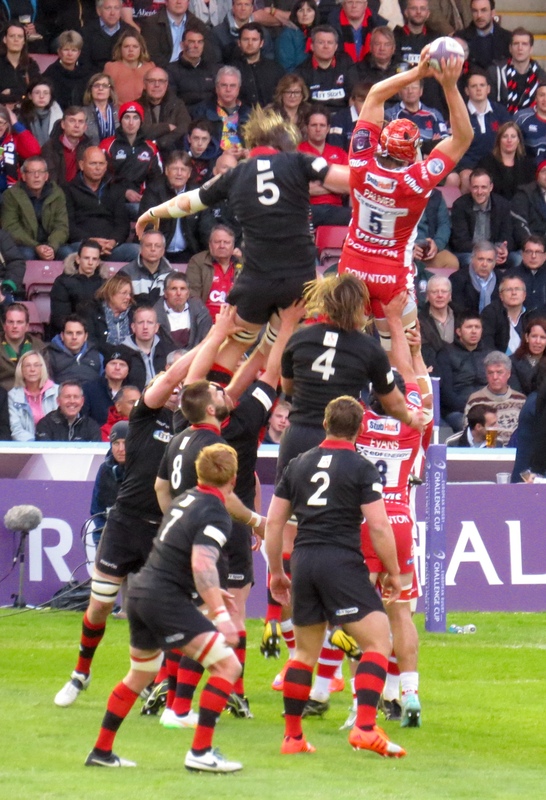 a real shout out loud moment came a mere 2 minutes later as James Hook’s pass saw Jonny May speed through a gap, his pass to Billy Twelvtrees was perfectly timed, he ran in under the posts to score. 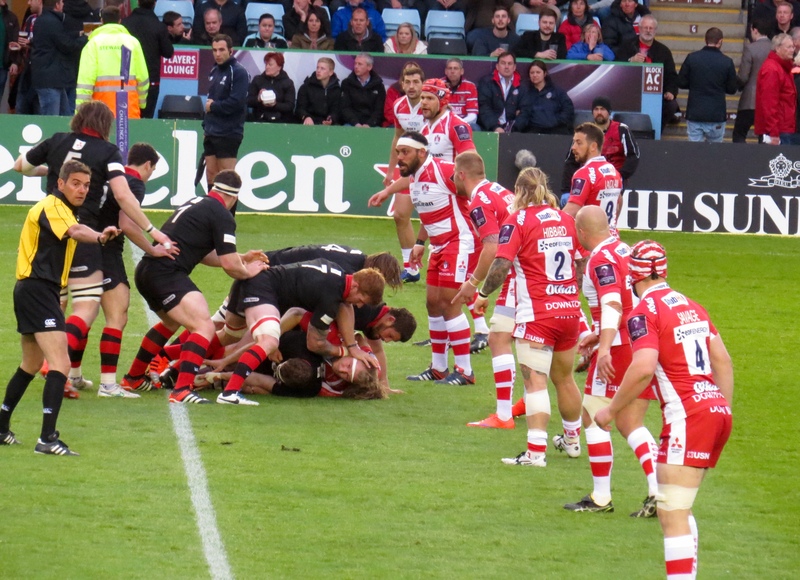 The TMO came into play on 27 minutes, confirming the decision of the referee that Gareth Evans had been held up. Jerome Garces couldn’t have been closer, I do wonder on occasion why the decision needs to be referred! 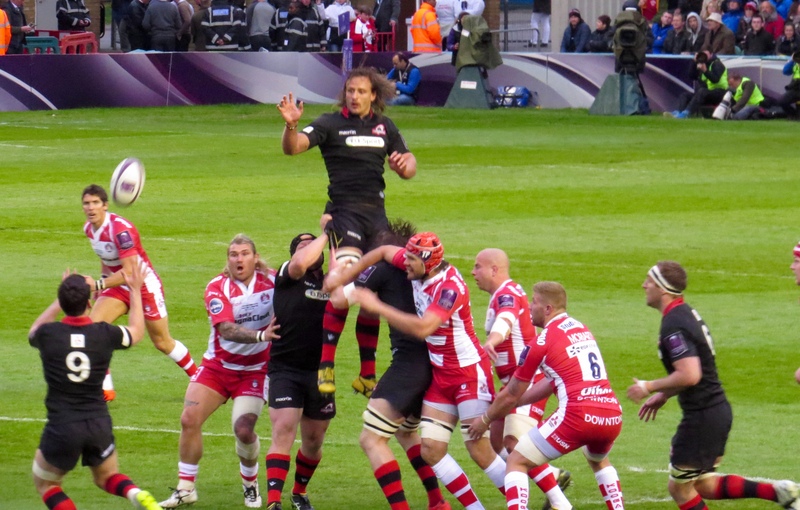 A minute before Anton Bresler had been sent to the naughty step for 10 minutes, taking what was in effect a team yellow. 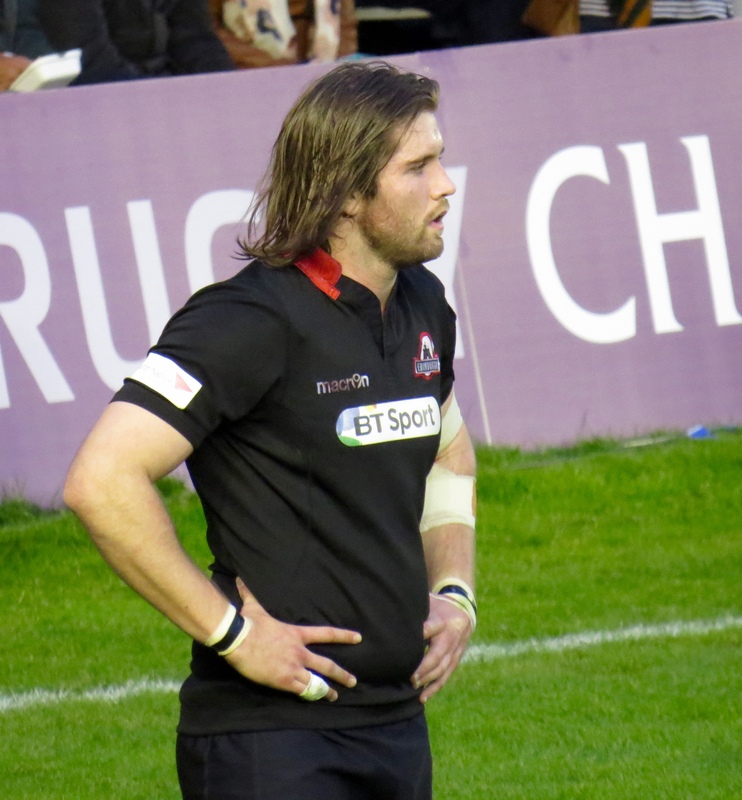 Edinburgh scored a penalty without conceding for the 10 minutes e was absent. 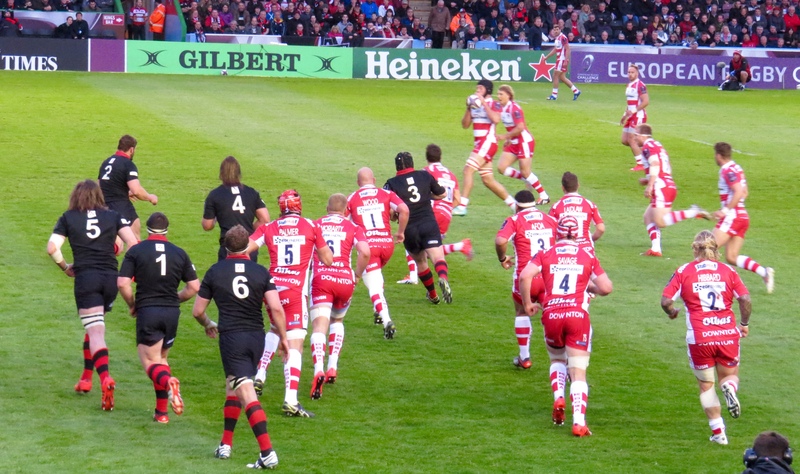 Then gave away a penalty as he returned; seeing Gloucester’s lead back to 7. The game went a bit flat in the 2nd half, Laidlaw added another 6 points to his tally with 2 penalty kicks. Both restarts were shockers! With the ball sailing into touch! I’m not sure I’ve ever seen that happen twice! 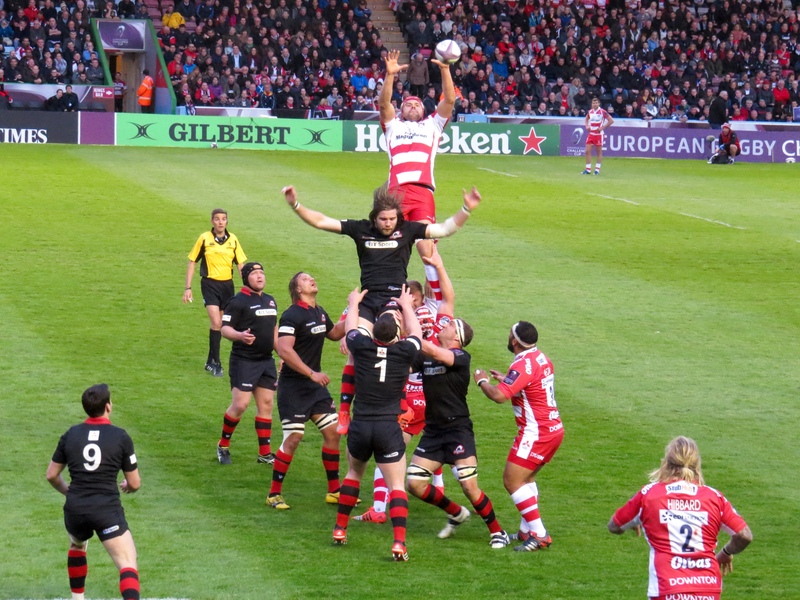 Gloucester were going well, but really tried to scupper their chances of winning the cup. Ross Moriarty was very lucky not to see red when he deliberately put his knee into Fraser McKenzie’s back. I suspect that will be looked at again! However a mere 8 minutes later Billy Meakes put in a high, late tackle on Sam Beard, this time the card brandished was red! A random photo here, but goodness this was he most popular man of the evening, and I have to say credit to him, he obliged with as many selfies as he could fit in! 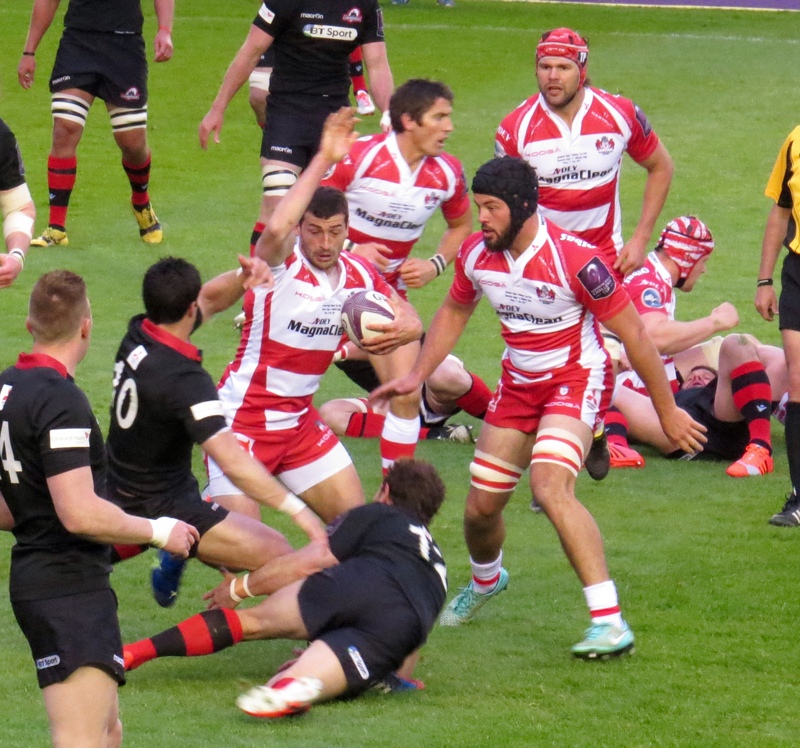 It looked like Edinburgh might have what was needed to fight back, as Ross Ford scored a try between the posts, giving hope to the fans, and an easy conversion for Hildago-Clyne. 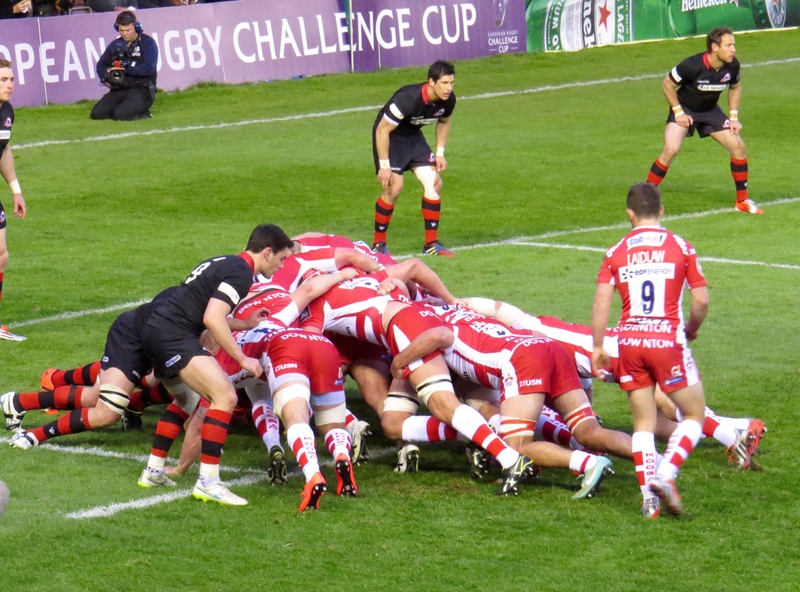 However the trophy was to go home to Gloucester, the score finished on Edinburgh Rugby 13 Gloucester 19 after Laidlaw finished the match off with a missed kick at goal. It was great to see the English team life the trophy, and I’m pleased to say that I found the whole evening to be a hugely enjoyable experience. 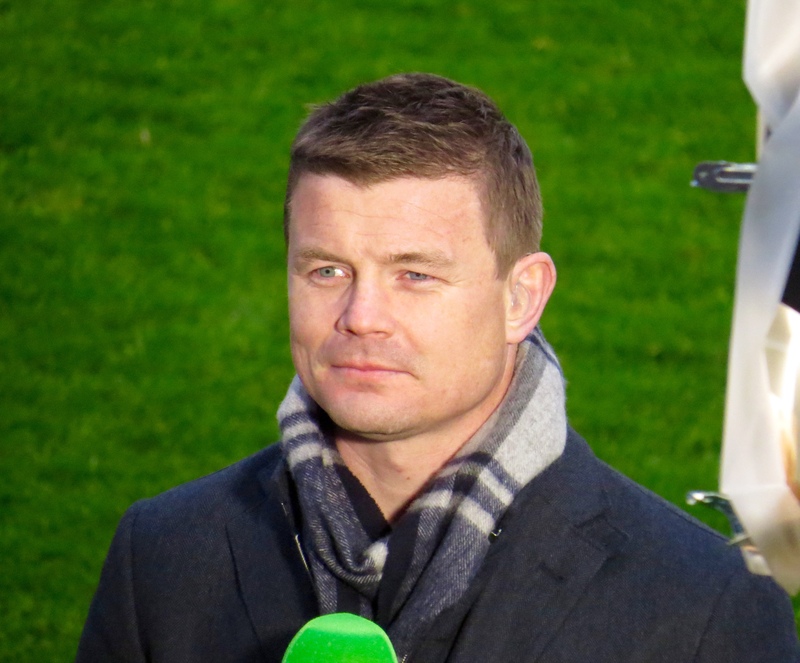 Other than one silly man who was poking his finger at the losing fans, in a way that might have made me want to punch him if I’d been both a man and an Edinburgh fan! 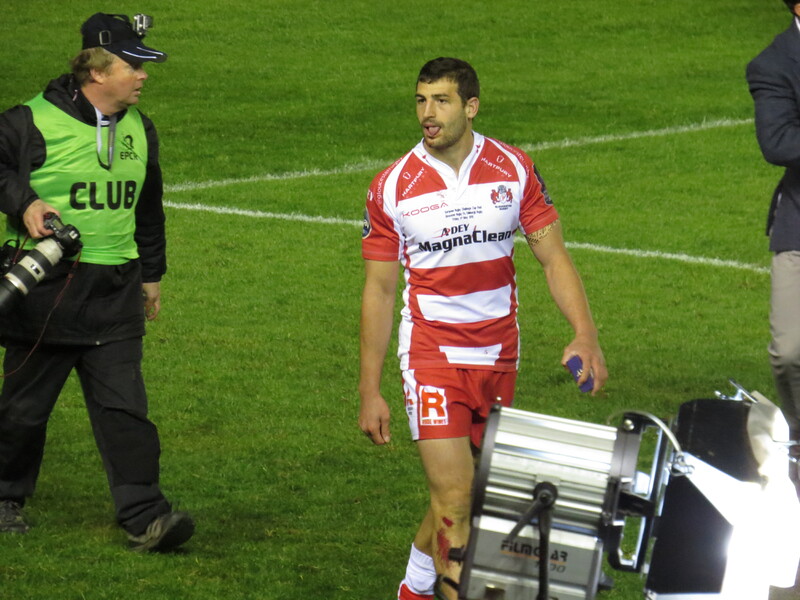 Jonny May was rightly crowned Man of The Match – he was in sparkling form! 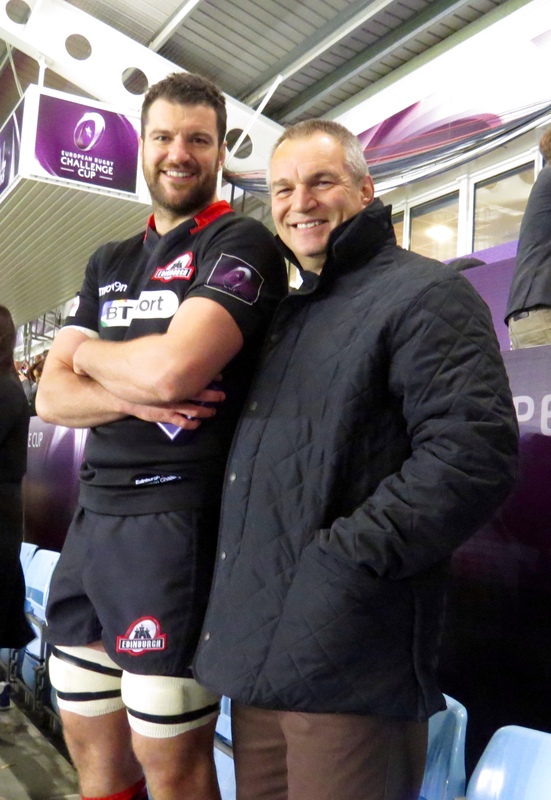 Nicest moment – the atmosphere in general – but also bumping into 2 lovely, fellow rugby fans!